This is a bulk lot of 12 barrettes. Also available individually. Looking for Glowbys? Due to ethical concerns, Flashing Panda will no longer be carrying Glowbys nor any other products from the Luminence line. Instead, we bring you these new and improved barrettes, which are of significantly better design and quality. 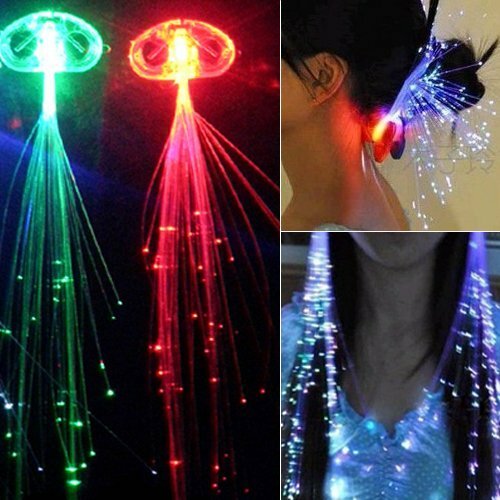 Light up your hair with these fiber optic hair accessories! Compared to similar products sold elsewhere for up to $10 ea, these are a steal! 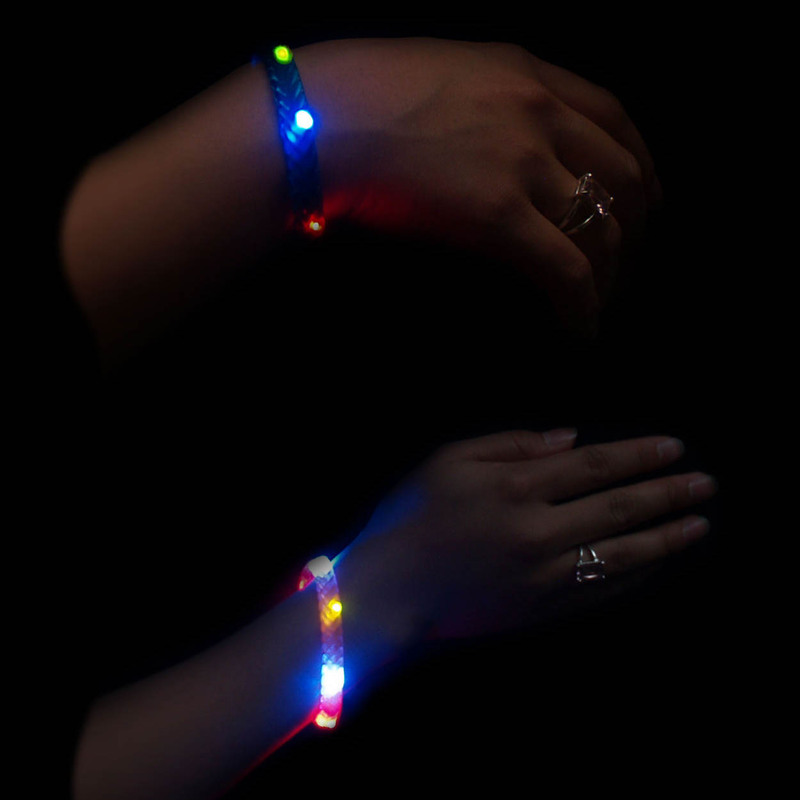 Great for any nighttime event - prom, holidays, parties, nightlife, concerts, raves, festivals, weddings, and more! 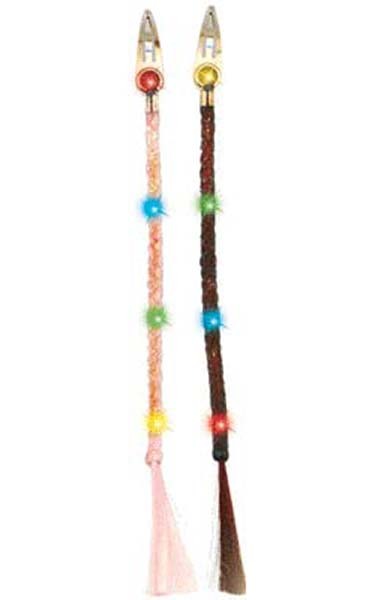 The ideal accessory for New Years Eve, Mardi-Gras, St Patrick's Day, Burning Man, etc.! 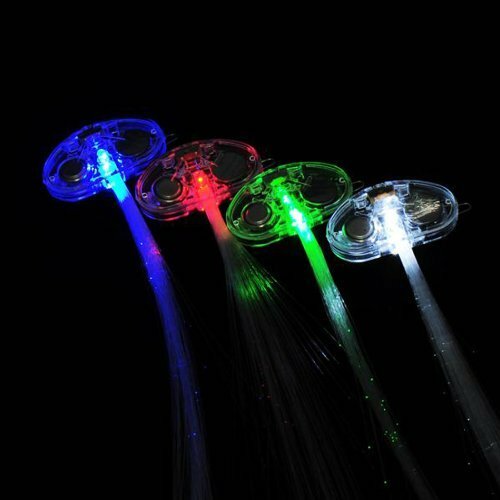 These are illuminated thin fiber optic strands which clip to your hair to create many brilliant stars of light. 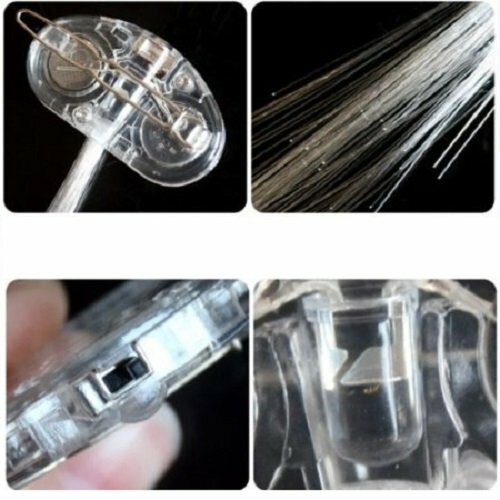 A small barrette houses two small batteries (included) and a light source, which lights up the ends of the fibers. Wear them again and again. 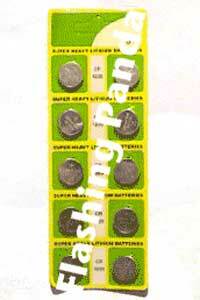 Just change the batteries when light becomes too dim, typically after 8 hours. Strands are 12" long but can be cut to any length - a star of light appears wherever the fibers are cut - and can be arranged in almost any pattern depending on the your hair style - use your imagination! Hair Stylists - just attach the barrette and treat the fibers like strands of hair - cut, loop, etc. 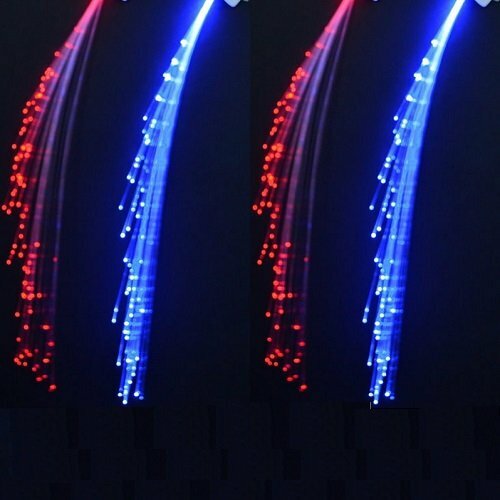 Caution: Do NOT use a curling iron or hair dryer; high heat will melt the optical fibers. Wear them in your hair, use as an accessory on head-were or clothing, or use as a decor item.